element incised or carved onto it. 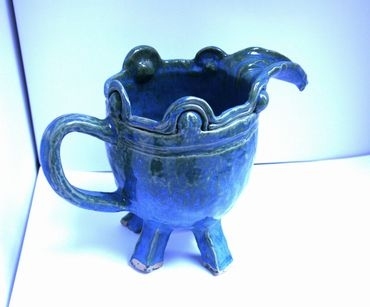 You may also attach clay onto your pitcher for decoration. Remember to slip, score and stick the clay on and weld it onto place so that it stays on during the drying stages and firing. Place the finished pitcher in the kiln room to dry out for firing.